If you are on Instagram, Twitter or any other social media platform, you'll notice Green Smoothies (and juices) popping up everywhere. 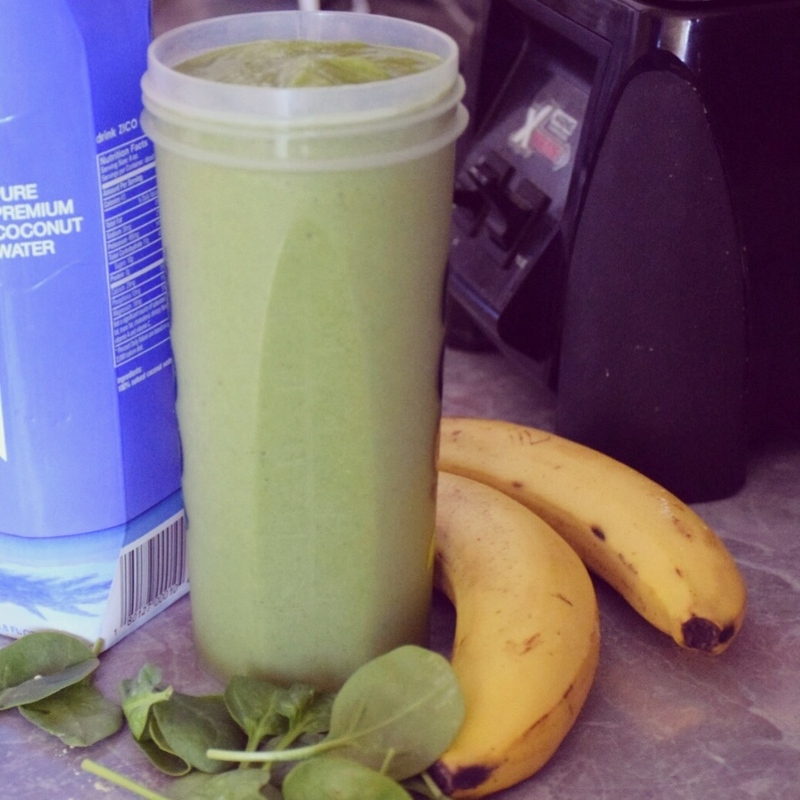 While you can throw whatever suits your fancy into the blender and drink it down, there's a formula to use that will make the smoothie yummy, instead of tasting like you're swallowing lawn clippings. Between smoothies and juice, it’s a neck and neck race for the “healthiest elixir." The difference is simple: green juice has been extracted from fruits and vegetables using a juicer, to create a smooth juice. A green smoothie also contains both fruits and vegetables, but uses a blender and calls for water or a milk alternative (soy, coconut, almond) to make the blended drink. Juices are void of fiber, which means they quickly enter the blood stream and provide nutrients, meaning you want to ensure there are more greens and veggies than fruit, because fruit juice is filled with sugar and without the fiber of the whole fruit (aka eating it) the juice will create a quick spike in your blood sugar. Smoothies, on the other hand, DO have fiber, because it's simply blending the entire fruit and vegetable, keeping all the nutrients intact. Both have benefits and are great additions to your day. Now, the "rule" for smoothies is simple: 1 cup liquid (I like almond milk) + 1 cup greens (spinach is the mildest in flavor, but I like kale as well) + 1.5 cups of fruit = 1 serving of a green smoothie. Add-ins include protein powder, flax seeds, hemp seeds, a tablespoon of almond or peanut butter (I like almond) or chia seeds. The secret? Blend the liquid and greens first to make sure the elixir is smooth before adding the fruit. If you like yours icy, add frozen fruit, such as bananas or blueberries. Trader Joe's has a wonderful assortment of frozen berries, mango and pineapple. You can also add ice cubes (including frozen coffee -- more to come on that) to the blender for a frozen texture. The add-ins are blended last. Next? Enjoy! Below are four of my favorites. Let me know what you think! Blend together and enjoy! (This smoothie, full of potassium, will cut down on any bloating. Perfect to enjoy the morning after a meal of rich foods or too many cocktails). The next one I threw together, because I had a pear that was super ripe. My options were to throw it into a blender or into the trash… into the blender it went. We've all heard that Breakfast is the most important meal of the day, and after enjoying one of these green smoothies, you have already had 2-3 servings of your fruits/vegetables for the day. I'd say that starts your day off on the right foot, wouldn't you?